President Trump's former adviser Michael Flynn is neither the only nor the most important link between the new US administration and the Kremlin. A tough fight seems to be starting within the American establishment to expose any contacts with Moscow which can compromise the White House. A formal reason behind the resignation of Donald Trump's national security advisor Michael Flynn was a media scandal during which it was learnt that Flynn had misled US Vice-President Mike Pence about his conversations with Russian ambassador Sergey Kislyak before Trump took office. However, many US politicians, experts and journalists insist that the president's former adviser is neither the only nor the most important link between the new US administration and the Kremlin. A tough fight seems to be starting within the American establishment to expose any contacts with Moscow which can compromise the White House. Let us remind you that the scandal broke out after The Washington Post reported quoting "officials who had access to reports from US intelligence and law enforcement agencies" said that Michael Flynn discussed the US sanctions against Russia in private communications with Kislyak although the president's ex-adviser repeatedly denied ever raising this topic with the Russian embassy. "Nine current and former officials, who were in senior positions at multiple agencies at the time of the calls, spoke on the condition of anonymity to discuss intelligence matters. 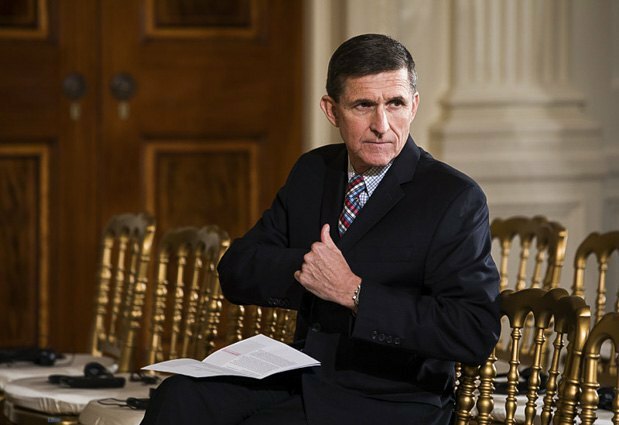 All of those officials said ­Flynn’s references to the election-related sanctions were explicit. Two of those officials went further, saying that Flynn urged Russia not to overreact to the penalties being imposed by President Barack Obama, making clear that the two sides would be in position to review the matter after Trump was sworn in as president," the paper said. Not being entirely sincere cost Flynn his career and post which he has held less than a month. However, it seems the investigation launched in Washington is only gaining a momentum. Republican Senator Roy Blunt said there should be an exhaustive investigation into the ties between Russia and the Trump administration. Democrats in the Senate share his opinion, putting it straight: the contacts between the Trump administration and Russia do not end with Flynn. "American national security demands that we not allow Michael Flynn to become a scapegoat for this Admin's disturbing ties to Russia," Massachusetts Senator Elizabeth Warren tweeted. "Putin will be disappointed by Flynn departure. I assess he was prob not a spy, but rather what the SVR calls a "trusted person" in the WH," the CIA's former Chief of Russia operations, Steve Hall, echoed the sentiment. 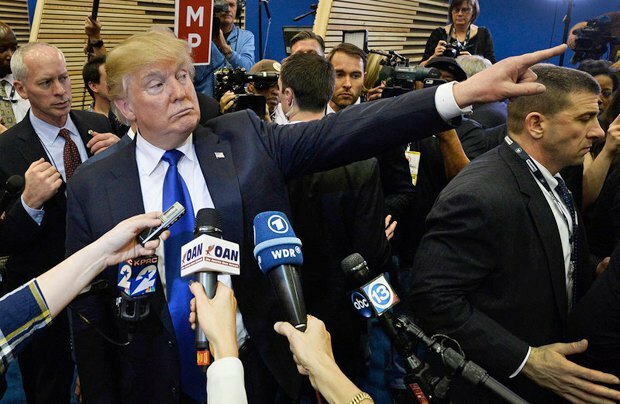 Like politicians and experts, the American press is not planning to "soft pedal" the developments in the White House, including because of Trump's lack of respect for media. In particular, The New York Times said that phone records and intercepted calls show that "members of Donald J. Trump’s 2016 presidential campaign and other Trump associates had repeated contacts with senior Russian intelligence officials in the year before the election, according to four current and former American officials." It noted that American law enforcement and intelligence agencies intercepted the communications around the same time they were discovering evidence that Russia was trying to disrupt the presidential election by hacking into the Democratic National Committee. CNN also reported this. The media called out Trump for speaking glowingly about Putin, his hopes that Russian intelligence services had stolen Hillary Clinton's emails and would make them public, and his assistant's business contacts with Moscow. The New York Times also said that President Trump had known about concerns that Flynn lied for more than two weeks before demanding his resignation. Republican Adam Smith, the top Democrat on the House Armed Services Committee, said revelations about Flynn's interactions with Russia "raise grave questions about who in the White House knew about Flynn's vulnerability to blackmail and exploitation by the Russian government, and when they knew about it." It is quite logical that amid such inquiries, Donald Trump and members of his teams will try to distance themselves from Moscow as much as possible. The White House's statement that Russia must return Crimea to Ukraine can be an example of such "distancing". However if secret agreements or "unauthorized" contacts, at which the senators and press hint, indeed took place, Ukraine should not have much trust in such statements because their translation into reality directly depends on whether the Congress and law-enforcement bodies are ready to see an investigation to its end. 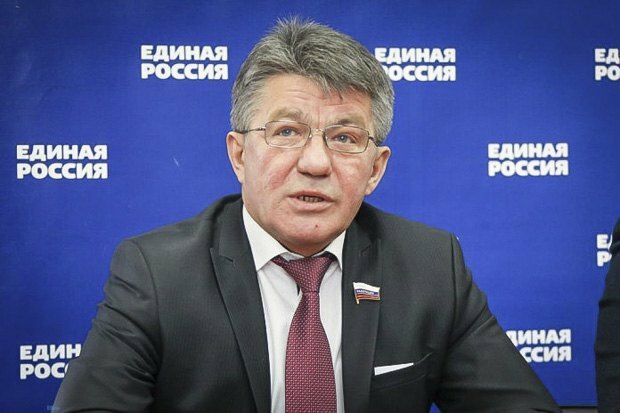 What is more, Viktor Ozerov, head of the Council of Federation committee for security and defence, expressly said that such statements "may have to do with the administration's willingness to 'tone down' the discontent of the US establishment" with the president's pro-Russian position. So he made it clear that Trump and his entourage just said what they were expected to say, nothing more. For now, there is no information on what terms Michael Flynn could discuss a reprieve of sanctions with the Russian ambassador and whether any deals or promises of future geopolitical decisions were made at all. At the same time, after Trump was elected president of the USA, Moscow felt itself more comfortable domestically and on the international arena. For example, repeat attempts were made to poison opposition member Vladimir Kara-Murza and hand a guilty verdict down on Aleksey Navalnyy. The situation in foreign policy is no less tense. There is a flare-up in violence between Russian militants and the Ukrainian Armed Forces, especially in the area of Avdiyivka. Currently, there is no sign that the war is going to end any time soon. Russia is also trying, as European diplomats fear, to wage a civil war in Libya and thus provoke a new migration crisis in Europe, similar to the Syrian one. There is another escalation in the Balkans, which also involves Moscow. It is noteworthy that pro-Russian Serb radicals, according to political analyst Vencislav Bujić, are confident of their absolute impunity and say confidently that the new US administration would put no obstacles to them in any way. Read Kremlin bait for "Great Serbia". What is happening in the Balkans? Experts from Belarus, Armenia and Georgia say about a "creeping occupation" of their countries by Russia. Some analysts believe destabilization in Central Asia is imminent, which will also benefit Moscow seeking to curb Chinese influence on the region. Now it will be quite interesting to see if a formal increase in the anti-Russian rhetoric of the White House is going to affect the Kremlin's practical actions. And whether Washington can have a stabilizing impact on the countries seen as possible targets for Russia's next aggression.